The difficulty for persons injured, including pedestrians, in auto related accidents is the insurance coverage limits available. Often, when there are multiple injured persons, and the injuries are serious, there is only limited amount of coverage available. Experienced legal representation can help with securing coverage and compensation that the average person would not know to seek. Additionally, reserving all insurance payments until a recovery is achieved can help with deferring costs and allocating the limited coverage/funds available from the at-fault driver’s insurance. More information on the rights of Kentucky pedestrian accident victims can be found at the Ackerson Law Office’s website (www.kyfirm.com) or by call Attorney Brent T. Ackerson directly at (502) 882-5176. 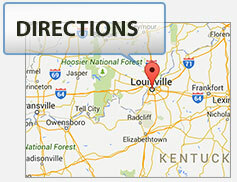 The Ackerson Law Offices are headquartered in Louisville, Kentucky and handle legal matters throughout Kentucky.